These almonds are a little salty, a little sweet and A LOT addicting! Try them out for a fun snack break! In a small saucepan, bring 2 tbsp. water, 2 tbsp. maple syrup, 1/2 tsp. Rodelle Organic Ground Ceylon Cinnamon and 1/2 tsp. salt to a boil. Cook, stirring frequently, until the liquid is reduced by about half. 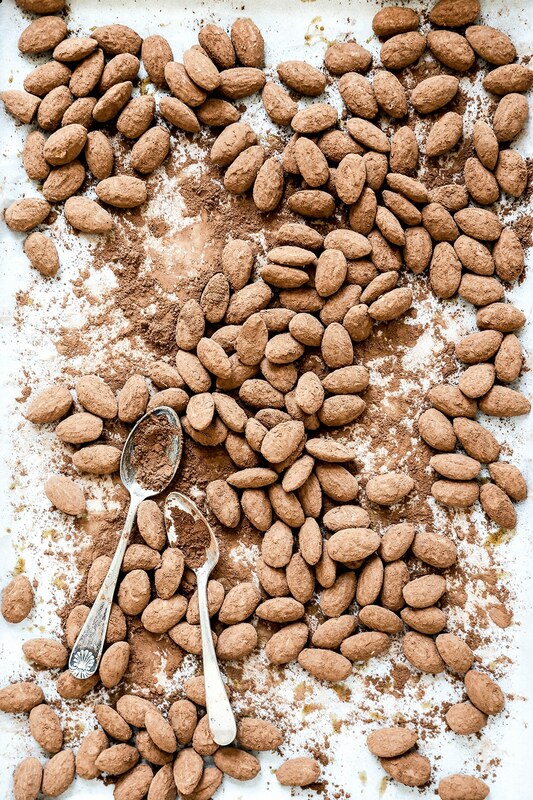 Remove the saucepan from the heat and add in 2 cups raw unsalted almonds, stirring until they are completely coated. 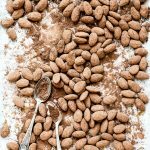 Spread the almonds out in a single layer onto a rimmed baking sheet lined with parchment paper and transfer to your preheated oven for 5 minutes. Remove and let the almonds rest at room temperature for about 1 hour. Add 3 tbsp. Rodelle Gourmet Baking Cocoa to a large zip-closure bag and add the almonds (they will still be sticky – that’s OK). 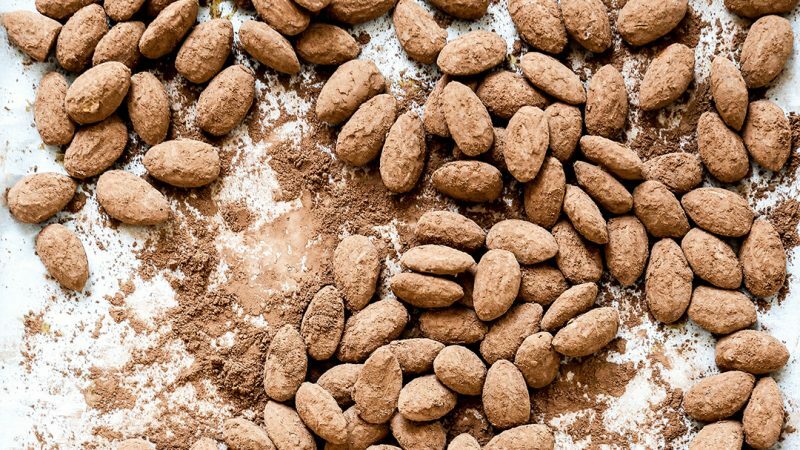 Shake until the almonds are fully coated with the cocoa. Remove from the bag and enjoy!